I do love the view from my office window! 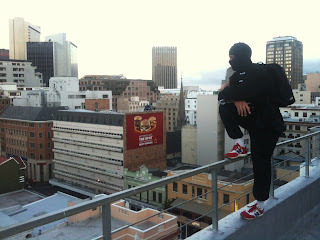 .....while wearing a Ninja Suit! Oh, and I met the "Douglas Green" dude from that old SA advert!